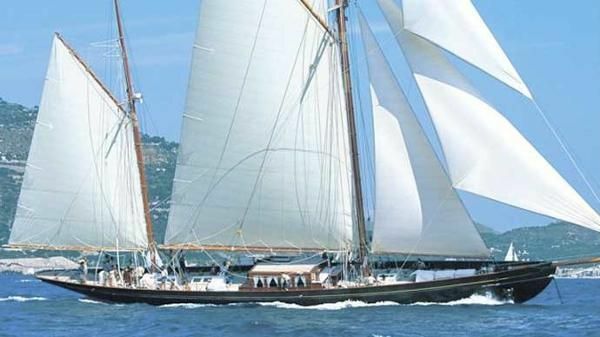 Sailing classic yacht BLACK SWAN (ex S/Y Brynhild) is a truly beautiful 40,50m (132' 10") Camper & Nicholsons yacht launched in 1899 and designed by Charles E. Nicholson. She was commissioned by Major Selwin Calvery, and she was launched at the Camper & Nicholsons yard in Gosport, England in 1899. 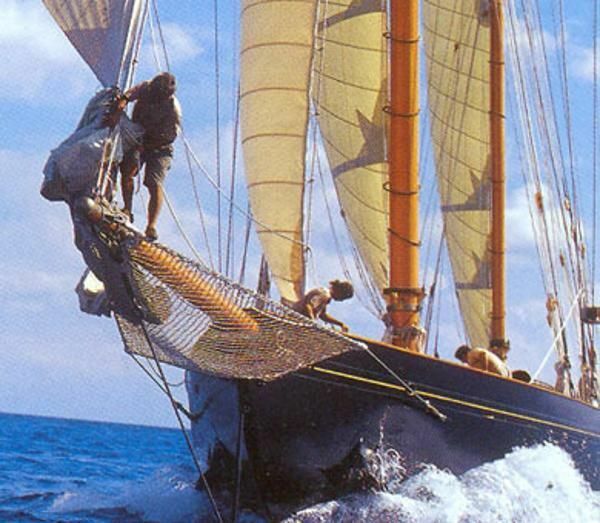 BLACK SWAN 1899 is one of the largest and oldest classic sailing yachts in the world, and she is a true gem! Black Swan underwent a major refit in 2000/2002, where most of the bottom planking was renewed and the whole deck structure carefully reconditioned. 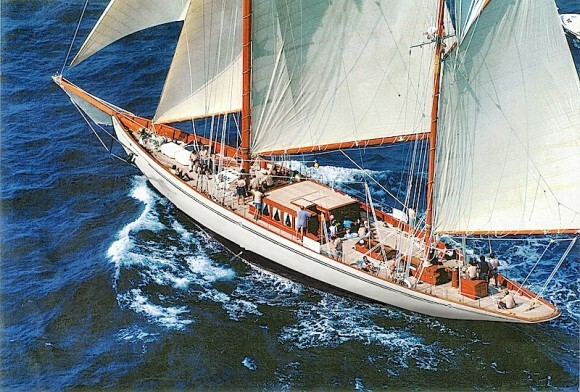 She received a completely new set of spars and rigging, and the two original engines were rebuilt, as well as all technical, electric and plumbing equipment. 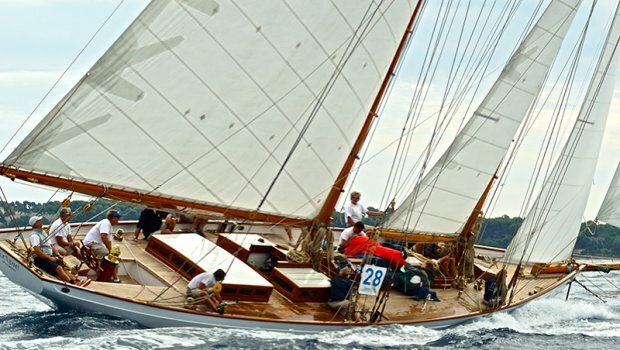 Now the Black Swan is the ideal way to experience a lovely classic sailboat and a fantastic yacht for an exotic, romantic sailing vacation. 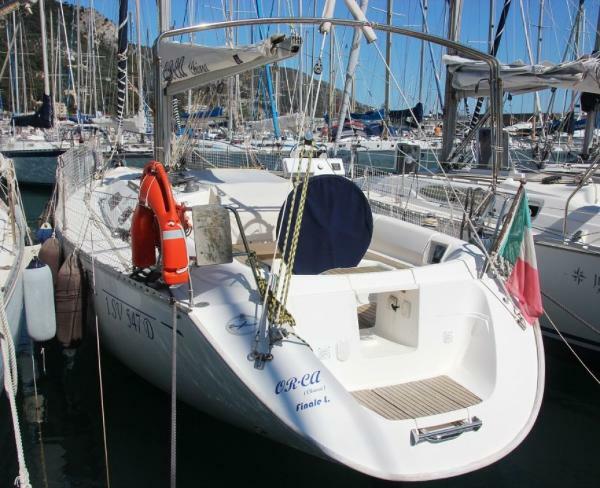 With six professional crew, she can cater to your every whim and luxury. Now that the refit is complete, BLACK SWAN comfortably accommodates up to 10 charter guests. The owner's master cabin has a large double bed to port and a settee to starboard with its en-suite shower/toilets and two washbasins. 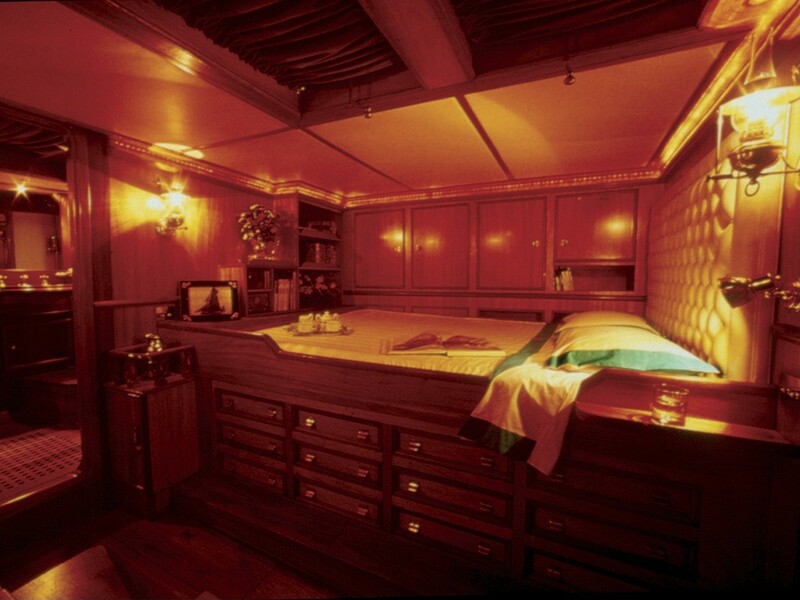 The guest's accommodation is made up of five cabins offering various alternatives for berth organization. 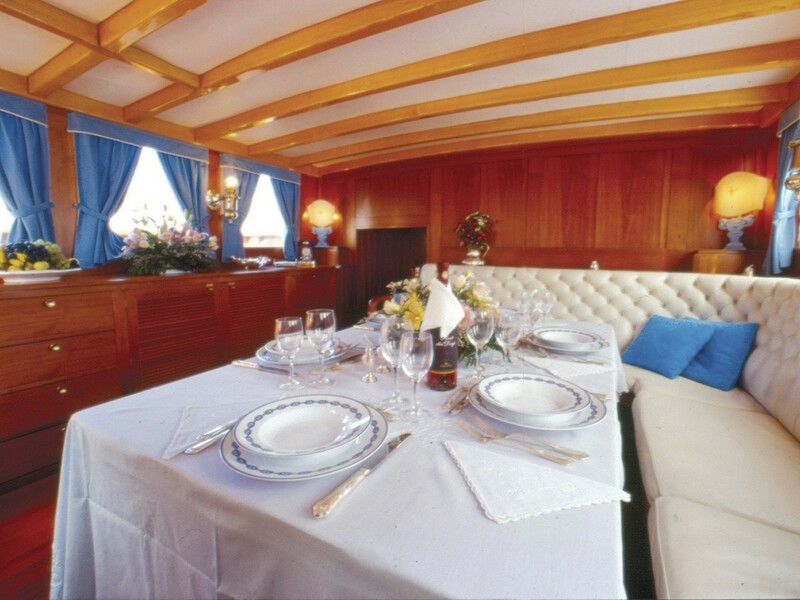 Two guest cabins are situated forward of the saloon and have with upper and lower berths. Aft, there are two additional guest cabins with large beds plus an extra Pullman berth. 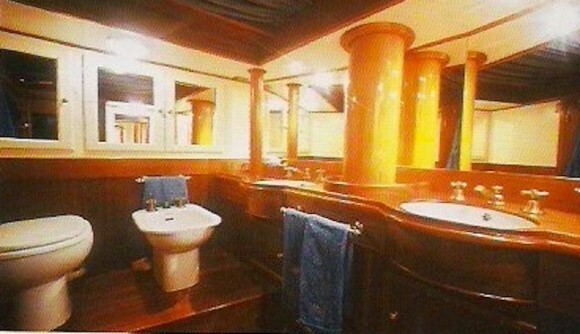 All guest cabins have en-suite showers and toilets. 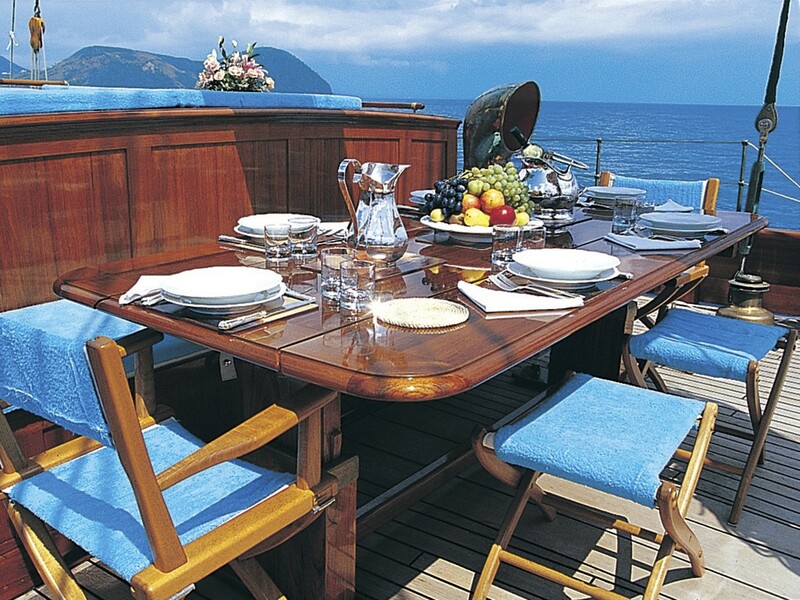 Sailing yacht BLACK SWAN is a superb and rare charter opportunity. 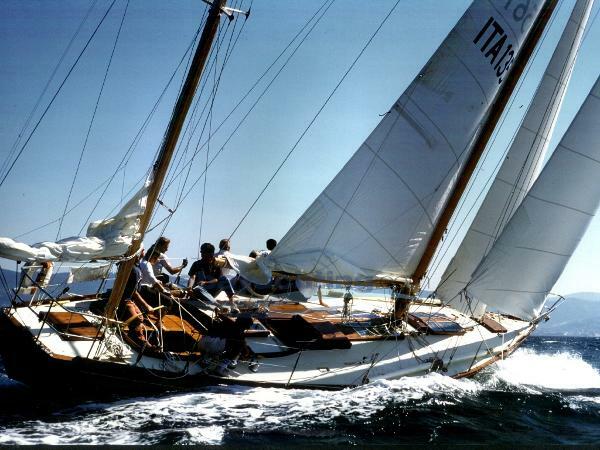 She was conceived by a very experienced owner to perform when it comes to sailing and comfort. Accordingly, BLACK SWAN has been in some famous races but also the interior and facilities of the yacht are to the highest possible standards, making her incredibly spacious, home-like and stable. BLACK SWAN is an absolute delight to sail, and you are assured of an unequalled sailing experience - whether you are looking for an active or relaxing charter, or perhaps a combination of both, she is simply perfect. THE BLACK SWAN is a super yacht which provides a sailing vacation experience of a lifetime. She is available for select charters in Mediterranean and Caribbean locations. BLACK SWAN Guest Accommodation Berth Measurements: The Owner's cabin has a large double bed to port and a settee to starboard with its own en-suite shower/toilets and two washbasins. Guest accomodation of three double cabins and two cabins with upper and lower berths. The three double guest cabins have an extra pullman berth. All guest cabins have en-suite showerroom and toilets. Cabin "Diamante" Master state room : one double bed Cabin "Smeraldo": one double bed (very big) plus one pullman Cabin "Rubino" :one double bed (very big) plus one pullman Cabin "Zaffiro":one double bed (very big) plus one pullman Cabin "Acquamarina" : one large single bed plus one pullman 'WINDROSE' can accommodate up to 10 guests if need be i.e. an addtional child or nanny. Tenders & Toys 3m50 varnished mahogany tender, 15hp 3m30 Eurovinil , 15hp snorkeling gear Full sun awnings Deap Sea fishing for trolling windrose. Audio Visual Equipment and Deck Facilities TV/VCR and music in saloon Water maker: HRO 200 l/hr. Communications Cellular Mobile GSM VHF & Single Side Band Satellite system & radar Satellite worldwilde fast internet.